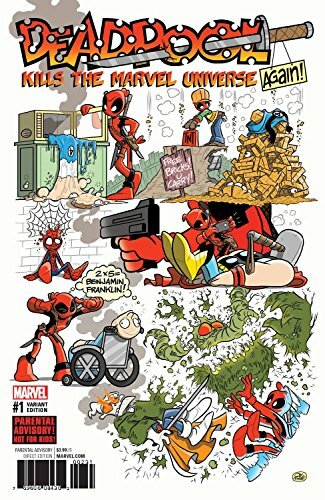 Deadpool Kills the Marvel Universe #1 "2nd Print Variant- What If He Decided to Kill Everyone and Everything That Makes up the Marvel Universe?" 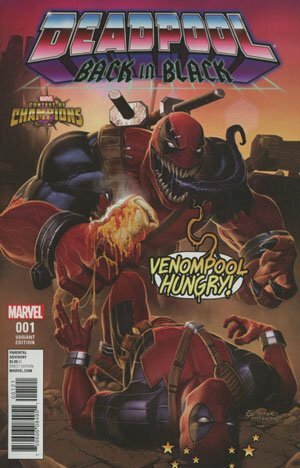 During 1984's SECRET WARS, Deadpool was introduced to an alien symbiote who went on to become Spider-Man's black costume and, eventually, Venom. Okay, okay, maybe that really happened in DEADPOOL'S SECRET SECRET WARS. 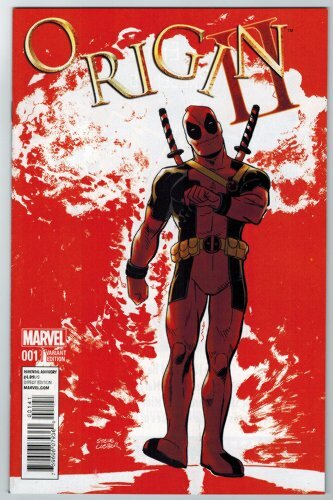 Point is, did you know that after Spider-Man rejected the costume, it went slinking back to Deadpool on the rebound? And they went on adventures together? "There's a new rule in the galaxy: No one touches Earth! No one!! Why has Earth become the most important planet in the Galaxy? That's what the Guardians of the Galaxy are going to find out!! 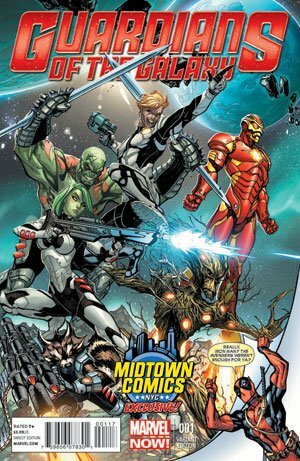 Join the brightest stars in the Marvel universe: Star Lord, Gamora, Drax, Rocket Raccoon, Groot and--wait for it--Iron-Man, as they embark upon one of the most explosive and eye-opening chapters of Marvel NOW! These galactic Avengers are going to discover secrets that will rattle Marvel readers for years to come! 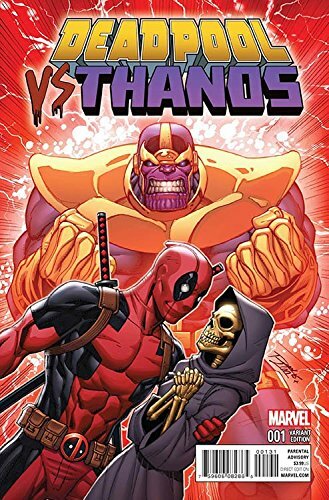 Why wait for the movie? It all starts here!" Fifty years from now, Logan - the man who no longer calls himself Wolverine - will have endured many atrocities: The Marvel Universe's villains will have banded together and rid the world of its heroes. Logan's closest friend, Hawkeye, will have been murdered in cold blood right before his eyes. And driven mad by the same radiation that gave him his superhuman strength, Bruce Banner will have fathered a family of hillbilly Hulks... that eventually went on to slaughter Logan's wife and two children. 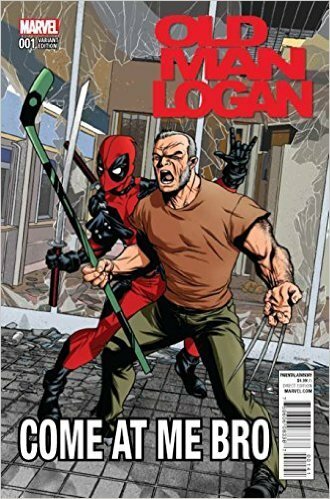 But now, in the present, Old Man Logan wakes up to discover himself in a world before these atrocities, before the Wasteland. 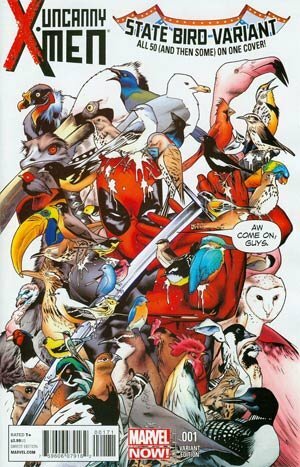 "The true flagship book of the X-Men returns. In the wake of the Phoenix, the world has changed and is torn on exactly what Cyclops and his team of X-Men are - visionary revolutionaries or dangerous terrorists? Whatever the truth, Cyclops, Emma Frost, Magneto, and Magik are out in the world gathering up new mutants and redefining the name UNCANNY X-MEN." A pirate ship carrying four children crashes on the shore of a mysterious and merciless jungle. Each child is taken by a separate tribe of animals as a means to keep the peace between the species. It is a peace that will not last. Fifteen years later the children have now become young adults and each will have to face the destiny that awaits them in the unforgiving jungle. A place where only the strong will survive. From writer Mark L. Miller and the creative minds behind Grimm Fairy Tales and the Wonderland trilogy comes the wildest and newest reinvention of a classic that only Zenescope does right! 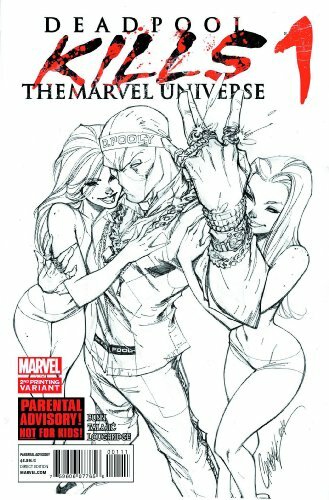 Featuring four connecting covers by Deadpool artist Ale Garza and DC superstar colorist Nei Ruffino and a retailer incentive cover by Zenescope superstar artist Mike DeBalfo! Cover A, B, C, D - are all connecting covers. 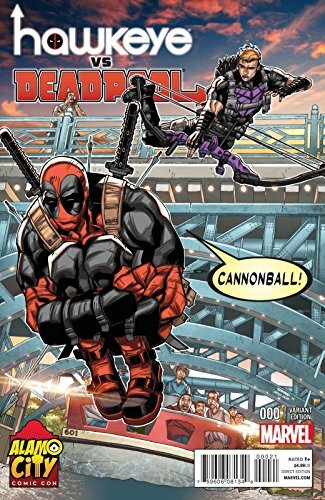 HAWKEYE VS DEADPOOL VS CRIME • Once upon a time, champions emerged to fight evil plaguing humanity. They fought for salvation, for all that is good in the world -- and they won. They were kind, generous and self-sacrificing. They were heroes. • These are not those heroes. • Meet Hawkeye: Ladies man ("ladies man" because the ladies love to hate this man), crossbow crusader and, most importantly, Avenger. He's the only guy on the team without any powers, though, so cut him a little slack. 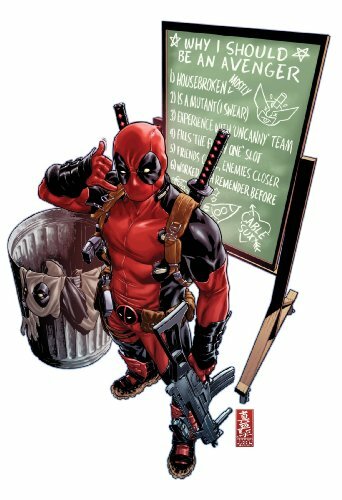 • Then there's Deadpool (MR. Deadpool to you, skippy) -- the regeneratin' degenerate. You can shoot him, stab him, and make with the punchy-punchy right in his face, but nothing can keep the Merc with a Mouth down. • What do they have in common? Halloween and a S.H.I.E.L.D. espionage mystery that has the both heroes racing against the clock while outshining one another. It's a Hawkeye & Deadpool comic 75 years in the making, give or take 75 years.